Pray you can change the consequences. Renia’s life has turned upside down. It’s not playing out as she expected – and it’s hard to tell if that’s good or bad. Even a far-seer can’t know everything ahead. Every action has consequences, taking her on a twisted journey through political power games and dangerous secrets. She must dig deep into her past, and Lemno’s, to learn the truth behind his quest for revenge. Even in exile, he’s still a threat to everyone around her. She longs to follow her heart; but should she? What if that’s the game Lemno wants her to play? 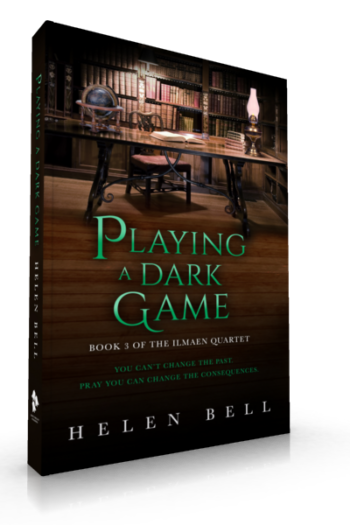 "Can't wait (for Playing a Dark Game) - I loved the first two."